March kills me. There are no signs of spring to be seen and no apparent rise in temperatures. I was born for summer. I love it. I love the heat and the ease of walking out to my garden to pick a tomato. This picture was taken at Snead’s Farm in Spotsylvania, VA last summer. 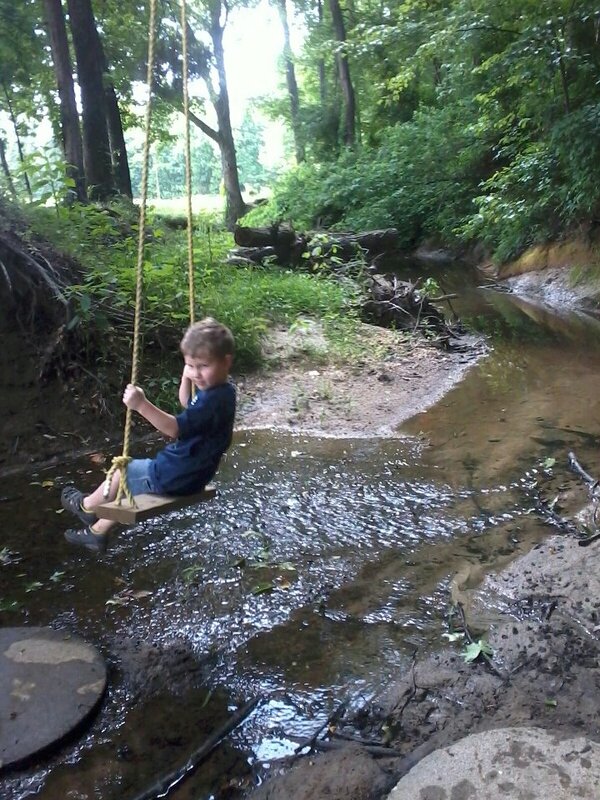 How can any dreary winter days compare to swinging over a shady creek on a hot summer day? For now I will have to look back at my snapshots from last year and pine away for warmer weather. Summer always comes, she just drags her feet getting here.